Like them or loathe them, pop-offs create storylines. There’s been a surprising amount of noise made about taunting in fighting games over the past few weeks. It’s nothing new: a quick search of YouTube will find you loads of ‘pop-off’ compilations—players celebrating wins with overblown emotional outbursts. Some are simply basking in the glory of their win, while others are intended to insult their bested opponent. A week or so ago, news broke that the Killer Instinct World Cup tournament had —supposedly—banned ‘teabagging’, the infamous act of squatting up and down to embarrass your opponent, stating that anyone seen doing it at any of their events would face disqualification. This didn’t include the in-game taunts, strangely, but specifically the act of teabagging. It was a rule that was in the tournament last year, but wasn’t fully enforced. This led to a tweet from KIWC organiser Brandon Alexander saying that it was in fact, a joke. A PR move gone wrong or a sudden, secret about face? Either way, the community was split over whether or not this was a good idea. Enter Adam Heart, aka The Keits. He's a designer on Killer Instinct and makes some very strong points about the way that fighting games are merely a competitive tool that creates a narrative between the competitors. By stripping competitors of the ability to be unsporting, you’re narrowing the possible storylines and drama. Although the concerns about it causing aggressive behaviour aren’t entirely without merit (although if you’re getting violent over someone pressing down on a stick a few times, your problems aren't getting solved by a teabag ban), this kind of trash talking and attitude is a major part of fighting games and one that could do with sticking around, especially as the esports scene grows. Growth is a good thing—it’s great to watch and great players should be rewarded as such—but it would be a shame to lose the things that made competitive fighting games so damn compulsive to watch in the first place. Current Capcom Cup champion and one of the best Street Fighter V players NuckleDu is known for his constant disrespect, teabagging whenever he gets the opportunity. He’s been at it a while, too, as he used to use Guile’s sunglasses on/off taunt in Ultra Street Fighter IV to psyche out his opponent regularly. When he wins, it’s a smug show of how much better he is. When he loses, the schadenfreude is delicious, as he’s made to eat his words. 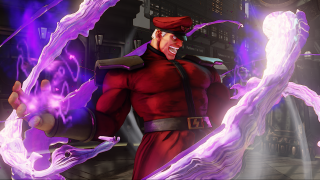 Look at this past weekend’s ‘Frosty Faustings’ event, where new Evil Geniuses recruit Chris G trapped Du’s Guile on top of Urien’s Aegis Reflector, taunted, then finished the round off. The looks on both player’s faces told a brilliantly human story—Du knew he’d just received a taste of his own medicine and Chris G looked like he’d gotten away with something extremely cheeky. No bad blood, both well aware of what was going on. Du got revenge later on when he won the Grand Final, but also when he managed to win a match with a Mic Drop kill using R. Mika. Rude. But what if there was bad blood? Obviously, actual physical violence over such things should never take place, but let’s look at the ‘feud’ between Marvel vs Capcom 3 players FChamp and KaneBlueRiver last year. During their first to fifteen matchup, Champ’s relentless trash talk was a huge part of why people became so invested in what was taking place and also why the crowd went absolutely crazy when KBR managed to best him in the following evening’s Grand Final. It was a talking point and it meant that every move in the game, every character's actions had a deeper meaning. It sits somewhere between extremely disrespectful, completely rad and super awkward. K-Brad looks appalled, but knows that he has just lost and that is an undeniable fact. Wolfkrone seems torn between wanting to lord it over his beaten, bested opponent and knowing full well that this is only going to add to his reputation. Add to this that they’ve already met in Top 8 competition three times already in 2017, and this win puts Wolfkrone up 2-1. Whatever you think of his actions, do you not feel that when/if K-Brad gets to play him again, there’s going to be considerably more drama? It becomes a new side to the narrative, and a possible psychological edge in battle. Fighting games are set to get even bigger in 2017 and although there will likely be pressure from some of the bigger sponsors to tone things down a bit, players who are arrogant, cocky, and extremely sure of themselves should have a way to express it. It makes for more compulsive viewing, whether you want to see them rise to the top or see them take a considerable dose of their own medicine. Better to have stakes like that than risk audiences simply not caring at all.